My daughter playing with friends during a recent visit to Trinidad & Tobego. It would be irresponsible of me to write a post about black Atlanta and not give respect to the massive African and West Indian communities within the metropolitan area – many of which are friends (and even an ex-boyfriend – Ha!). I saw a meme recently that sums up why I have such admiration for these communities. 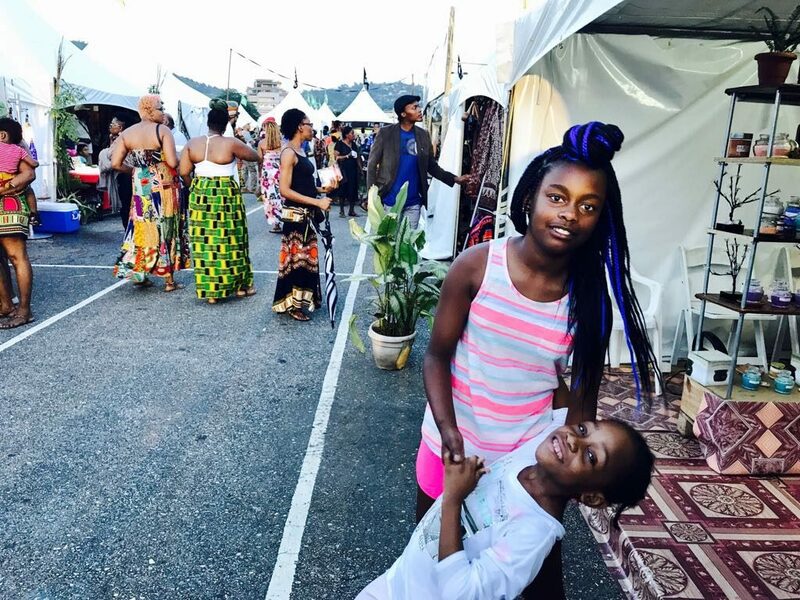 The meme implied that West Indian and African parents encourage their children to only entertain education and opportunity in the United States. Looking deeper, it was a comical way to explain that, intraculturally, these communities refuse to be bogged down with issues of race or the pursuit of historical reparations. They are here in America to succeed, and they will do it together as a family unit. So powerful! The book I mentioned above spends an entire chapter on the Black community and goes into this issue in much more detail. I love this fierce outlook and have made it a point to adopt the same beliefs as I raise my child, but I also have a quiet disdain for this viewpoint. What some may see as cultural pride and focus, I see as an overt dismissal and devaluation of the African-American experience and struggle in this nation and within our great city. After being denied access to freedom and humanity for nearly 400 years – and denied links to our rich African ancestry – the Civil Rights Act finally passed in 1964. This brought a collective sigh of relief but many may have forgotten that blacks have only been “equal” for 54 years (that is my mother’s generation). Out of the struggle for equality came a multitude of opportunities for people of other cultures and backgrounds to also have access to the bounty that is America. As a black community, we have a long way to go (e.g. what generational wealth? My people were never able to “build” systematically. We are just getting started.). To be honest, we are still healing from traumas inflicted from slavery, Jim Crow, mass incarceration, police brutality, unfair housing and hiring practices and, to move forward, there is a cultural alliance that needs to happen – first among those of all African decent. We are stronger together.